Department provides daily OPD services. It provides psychiatric care for various psychiatric disorders, including adult, child and geriatric psychiatric patients. Management includes psychopharmacological therapy, psycho education, counselling and psychotherapeutic interventions as per need of the patient. 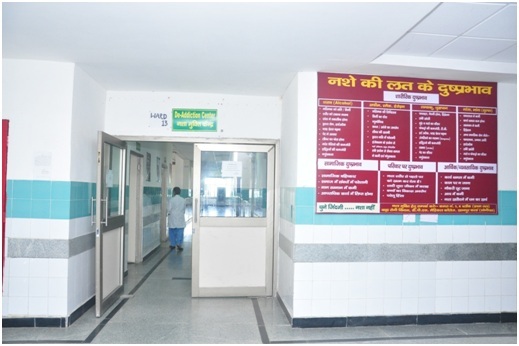 A separate de-addiction clinic is functioning within the department’s OPD. De-addiction services like detoxification, counselling, motivation enhancement, long term pharmacotherapy is provided in the clinic. De-addiction centre: A separate 10 bedded de-addiction ward provide services for detoxification of Patients requiring hospitalisation. Ward has facilities for recreation and psychosocial interventions.